TeAmo, TeQuila. You can’t help falling in love with the exotic cocktails from the Doo-Shee Bar. 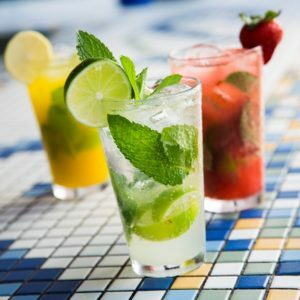 Taste local flavors like the Frozen Aw’I Lamunchi, savor a creamy Piña Colada or try our funky Blue Mojito. As you sip on that, get ready to be entertained: the Doo-Shee Bar has the perfect view of the Rif Fort stage where live music and shows take place on the weekends.